The factory is completely automated and has a well-equipped laboratory. Combined with the experienced staff it enables us to formulate and produce high quality and innovative products, with a long shelf life. The production facility is certified (ISO 9001:2015) and its staff has over 30 years of experience in producing liquid fertilizers. 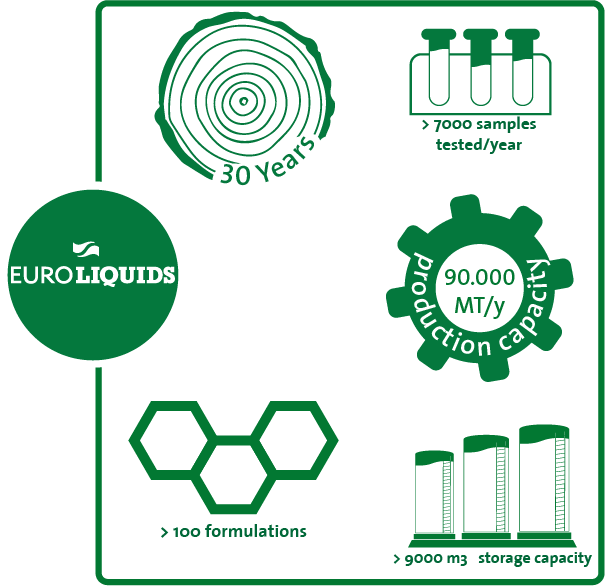 From the start, Euroliquids is a producer of liquids for the high-tech Dutch hydroponic sector. This demanding market requires highly pure products with limited detrimental elements. We take the benefit of this experience to develop new formulas for foliar application and fertigation in open field. At Van Iperen, we are very active in these growing markets since more than 10 years. Being located in the port of Rotterdam, the plant is ideally situated to ship our products all over the world. 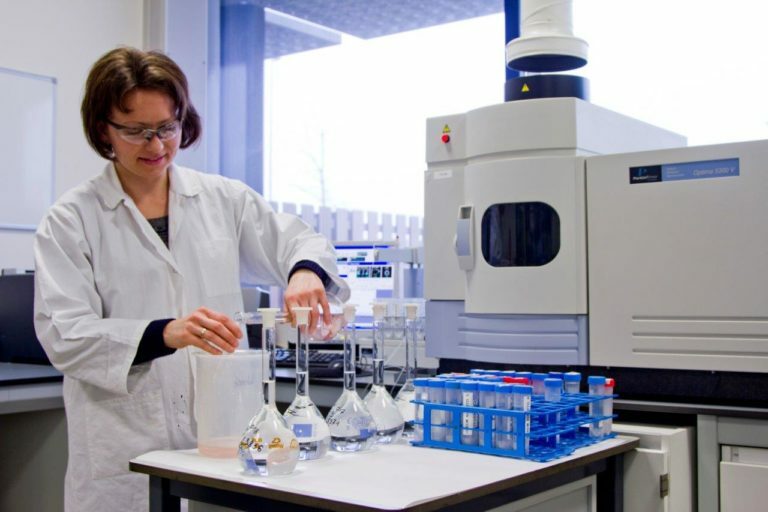 Our laboratory at Euroliquids supports us in the formulation of innovative products. Our chemists are experienced to create new recipes based upon the needs of the market. Special attention is paid to the stability over time. Therefore all our new liquid products are confronted to a challenge test, analyzing the stability of the formulas up to a temperature of 50°C. By doing so, a stable product within a large temperature window can be guaranteed. Different parameters are monitored like crystallization temperature, pH, gasification and biological activity. 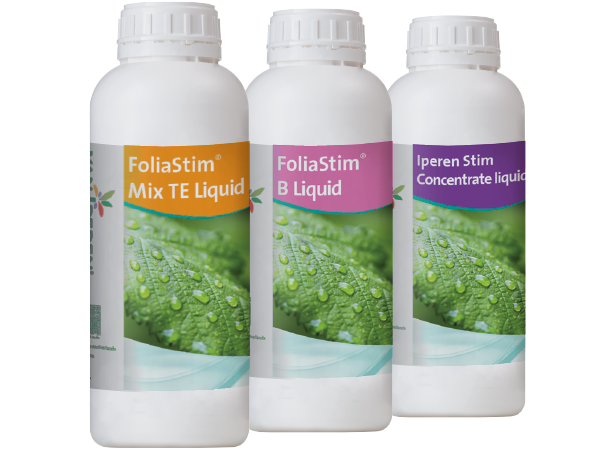 The focus on shelf life and therewith the challenge test is especially important when combing mineral fertilizers with organic biostimulants, like in our FoliaStim® and Iperen IPE® range. 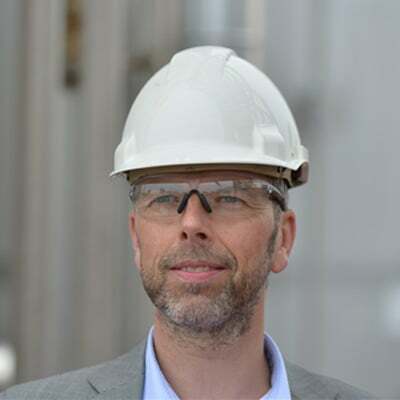 "With more than 30 years of experience my team is still learning and improving themselves to satisfy our customer needs when it comes to liquid foliar fertilizers." In addition to delivering high quality products, we also care about the packaging. Our liquid products can be packed in an extended range of cans and bottles varying from 1 liter up to 1.000 liters. Special attention is given to the selection of the cans as well as the full color labels. We do not only offer a nice label design, our Document Management team also adapts it to the local restrictions. This enables you to differentiate on the shelves. 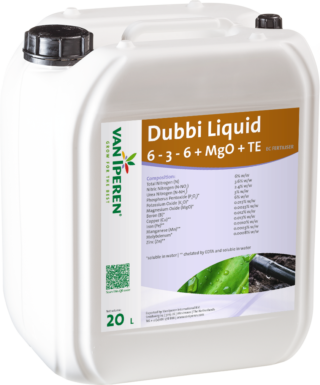 Van Iperen FoliaStim® Mix TE Liquid is a pure and highly concentrated liquid Micronutrient fertilizer, formulated with 15% seaweed and EDTA chelates. Our product is a stable solution and is recommended at different phenological stages. The high level of micronutrients in our formula improves plant vitality and production. The presence of high quality seaweed supports the uptake and the transportation of nutrients and increases resistance against abiotic stress. Produced in our own plant Euroliquids. 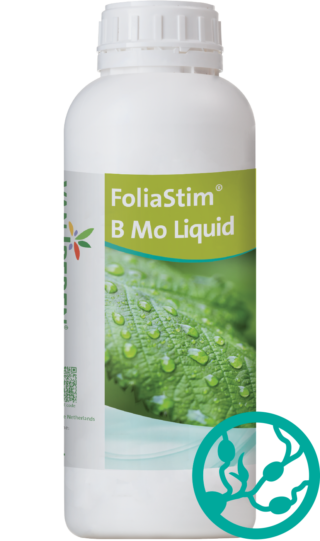 Van Iperen FoliaStim® B Mo Liquid is a pure and highly concentrated liquid Micronutrient fertilizer, formulated with 15% seaweed. Our product is a stable solution and is recommended during vegetative growth especially as of bud development, prior to flowering. The high level of Boron and Molybdenum in our formula improves cell division, cell wall formation and supports the plant to manage its Nitrogen needs. The presence of high quality seaweed supports the uptake and the transportation of nutrients and increases resistance against abiotic stress. Produced in our own plant Euroliquids. Van Iperen FoliaStim® Mn Zn Liquid is a pure and highly concentrated liquid Micronutrient fertilizer, formulated with 15% seaweed and EDTA chelates. Our product is a stable solution and is recommended as of early spring until fruit setting. The high level of Manganese and Zinc in our formula improves photosynthesis and growth of new heatlhy roots, vigurous shoots and flower buds. The presence of high quality seaweed supports the uptake and the transportation of nutrients and increases resistance against abiotic stress. Produced in our own plant Euroliquids. 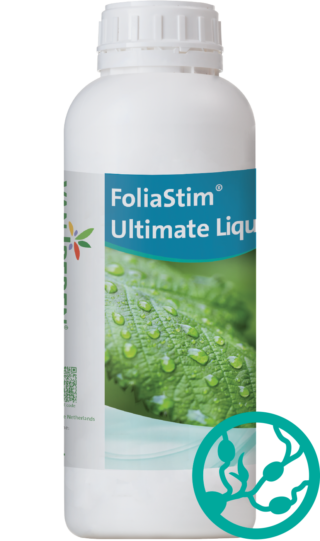 Van Iperen FoliaStim® Ultimate Liquid is a pure and highly concentrated liquid NPK fertilizer, formulated with 15% seaweed and EDTA chelates. Our product is a stable solution and is recommended at different phenological stages. The high level of Nitrogen, Phosphate and Potassium in our formula improves cell division, cell elongation and cell pressure. The presence of high quality seaweed supports the uptake and the transportation of nutrients and increases resistance against abiotic stress. Produced in our own plant Euroliquids. Want to know more about seaweed biostimulation? Van Iperen Lokon Liquid | 10 - 3 - 3 + MgO + TE is a pure and concentrated liquid NPK with a high level of Nitrogen combined with EDTA chelated micronutrients and Ureic Nitrogen. Our product is a transparent, stable solution and is recommended during periods of vegetative growth. The high level of Nitrogen in our formula improves cell elongation and contributes to the production of protein, supporting enzymatic reactions. The presence of Magnesium and micro nutrients contributes to the production of chlorophyll and supports general plant metabolism. Produced in our own plant Euroliquids.